Is your Time Machine wireless? Like probably everybody else, I’ve been quite lazy taking backups. Through the Linus backup philosophy this hasn’t been so bad: my code is in various repositories and my photos are on Flickr. But when a hard drive died on me last year, a bunch of small things were still lost. 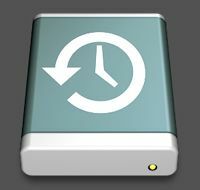 Because of this I thought the Time Machine feature of OS X Leopard was quite cool. Until I found out that it would work only with external USB or FireWire disks, that is. I know that if I need to plug something in, I wouldn’t do it. So, my home OpenLink-powered NAS box to rescue! Making Time Machine talk to it required some tweaks, including enabling “unsupported volumes” in TIme Machine and installing Howl on the LinkStation. The result is quite cool: while backups take a long time to make, they start automatically when I open the laptop at home. And the Howl setup also makes my N800 Media Player automatically find music from the LinkStation.